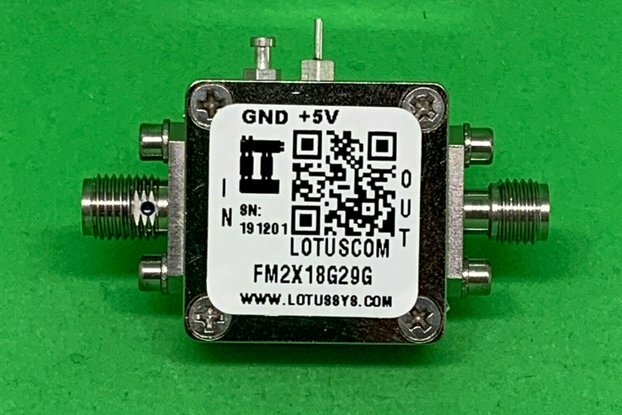 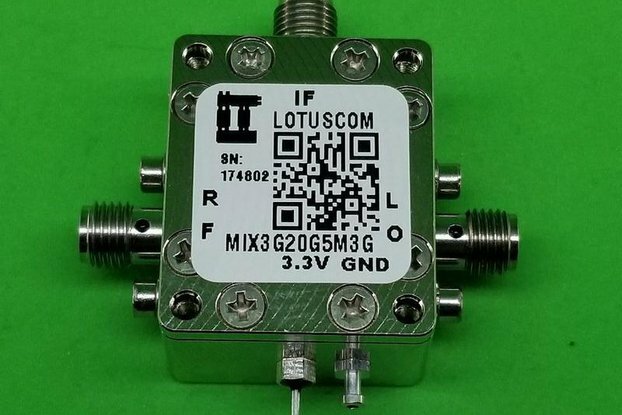 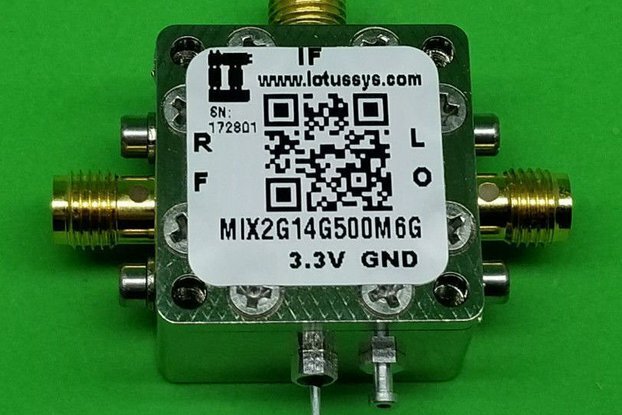 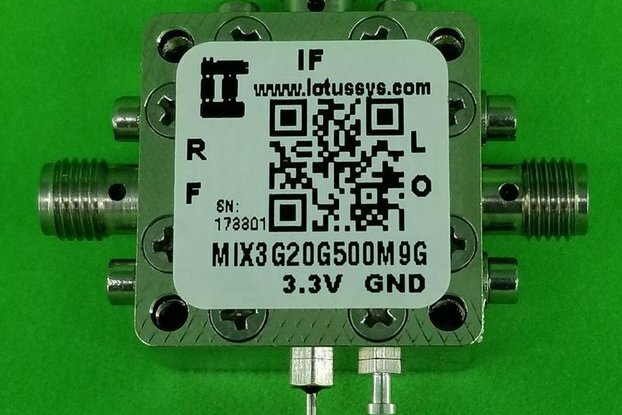 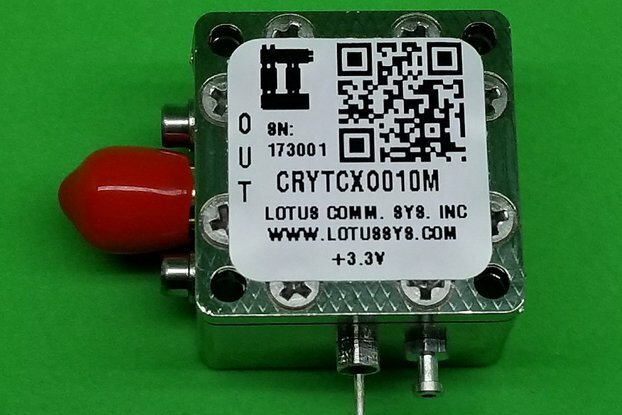 FM2X6G9G Active Frequency Multiplier X2 with input frequency range from 3 GHz to 4.5 GHz. 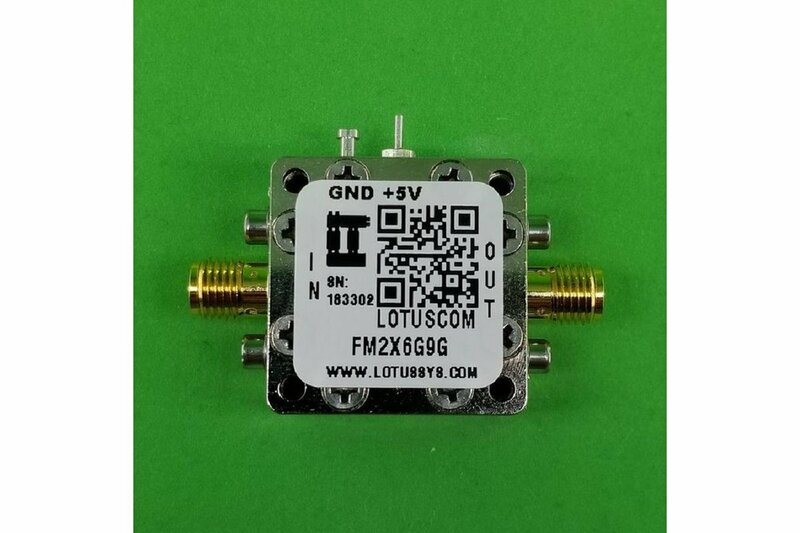 Enclosure is using RF Design Kit 6UDD2W6S1P2 with dimension 0.9375"x0.9375x0.59". 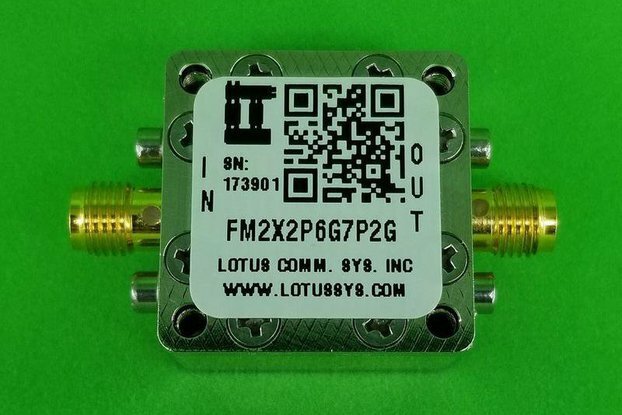 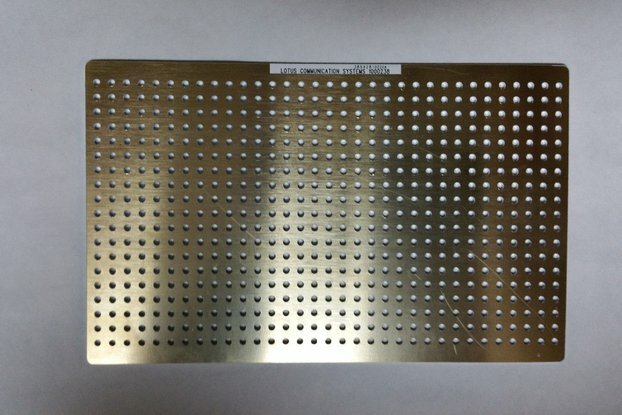 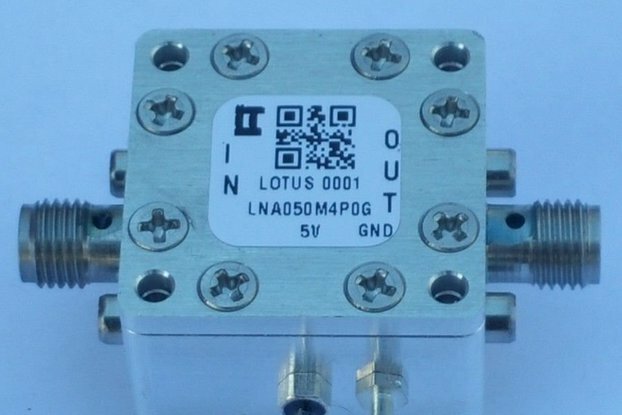 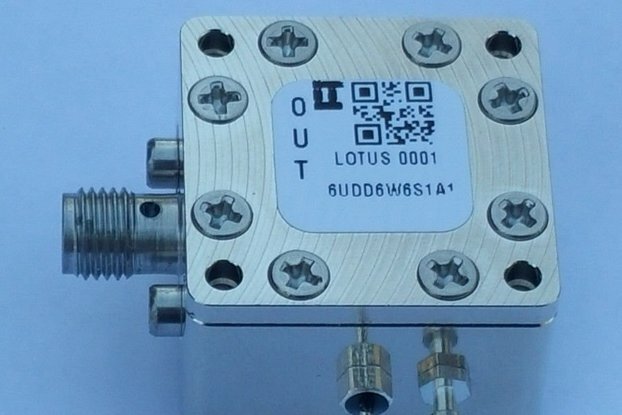 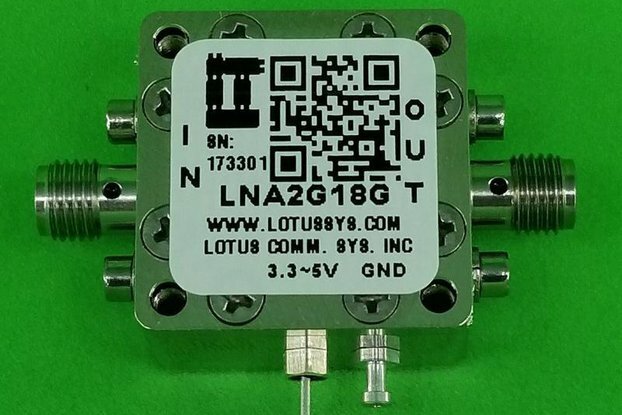 The frequency divider includes the RF Enclosure as shown in picture.